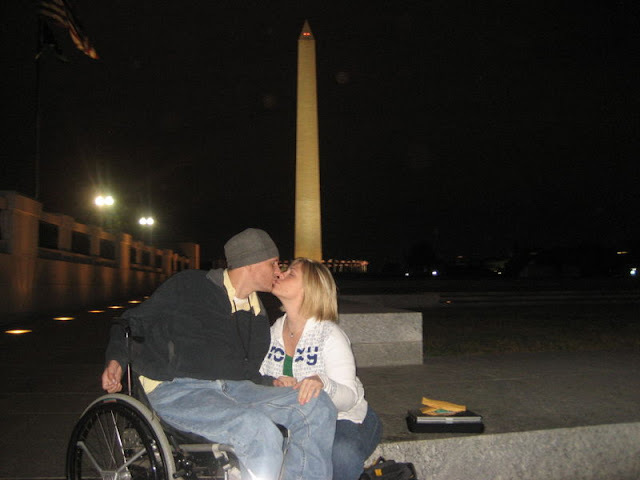 October 17, 2008 - right in the middle of a presidential campaign, Michael Ritter asked me if I'd spend the rest of my life making memories with him. I blubbered, which meant yes. And here we are - in the middle of the next presidential campaign - married, more in love than ever - and we have definitely made some memories together, and we're looking forward to many, many more. Side note: I miss that Roxy sweatshirt. If you want to read the story of how Michael proposed, you can find it here, in the archives.